It’s that time of year again – we’re gearing up for Vancouver Island Pagan Pride Day, and there are quite a few costs that need to be covered. And what better way to raise those funds than with the tools of the trade – divination! 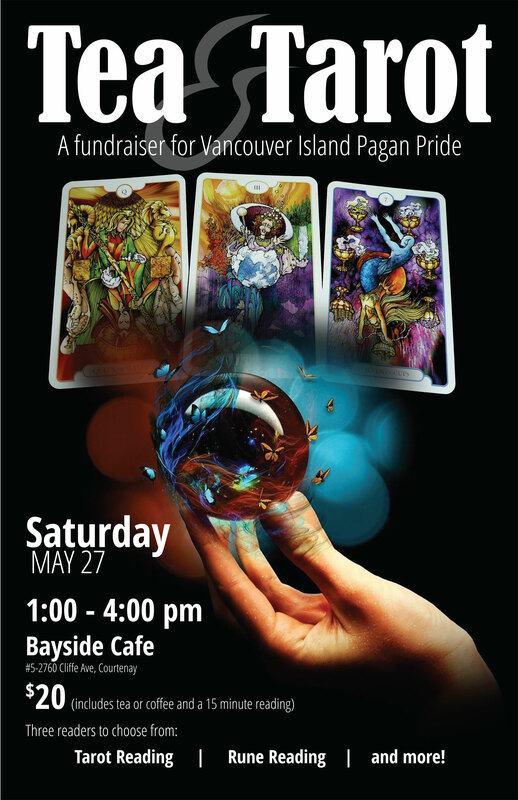 Join us on Saturday, May 27th at Bayside Cafe in Courtenay for a tarot card reading, rune reading, angel card reading, Sassy SHE Oracle card reading, or a spirit guided reading. Basic coffee or tea is included in the price of your ticket, along with a 15 minute reading of your choice. Tickets are only $20, and reading space is limited, so book your reading right away! Sign up for a time slot on May 27th with the reader of your choice. Please remember that this time slot will be reserved for you.